Exude sophistication with this beautifully designed Accurist women's timepiece, featuring a 9ct gold oval shaped case with scratch resistant sapphire crystal glass, complemented by a stunning stone set mother of pearl dial. It features a 9ct gold bracelet and includes a 2 year guarantee. 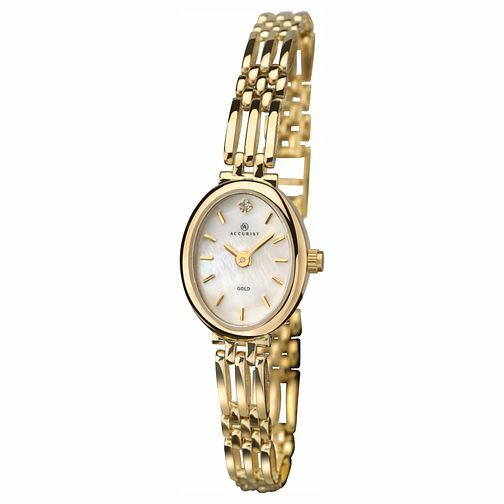 Accurist 9ct Gold Oval Bracelet Watch is rated 5.0 out of 5 by 1.